I'm always happy to share fun events happening in New York! Today I'm sharing one that is taking place at the Babies R Us in Union Square. 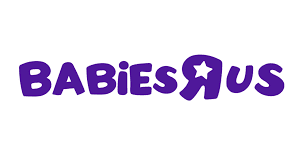 This Friday June 17th, celebrity radio DJ Caroline Marquez of WKTU-FM will be on-site giving away tons of prizes including a nursery makeover and year’s supply of Huggies diapers and wipes. Be sure to get in on the fun by visiting http://ktu.iheart.com/ to participate in the “Most Huggable Baby” contest for the chance to win a year’s supply of Huggies diapers and wipes. When: Friday, June 17 from 11 a.m. – 1 p.m.
o $10 gift cards will be given to the first 50 people to arrive at the start of the event. o DJ Carolina will be announcing a $25 gift card winner every 15 minutes for two hours. o There will be a raffle to win a nursery makeover (valued at $1,250). o Diaper Derby Competition: Babies will have a crawl-off on the special derby carpet. The winner will receive a one year supply of diapers and wipes (valued at $1,750). o Most Huggable Baby Competition: Photographers will be on the step-and-repeat taking pictures of baby contestants and posting them online. The huggable winner will receive a one year supply of diapers and wipes (valued at $1,750). This competition is also accessible from home, participants can submit picture on the radio website. Hope you make it out to this fun event! It's a Domino's Pizza Party!